One of three new lenses (the others are a 50mm f/2.0, and 28mm f/2.8) from Hong Kong Meike Digital Technology. 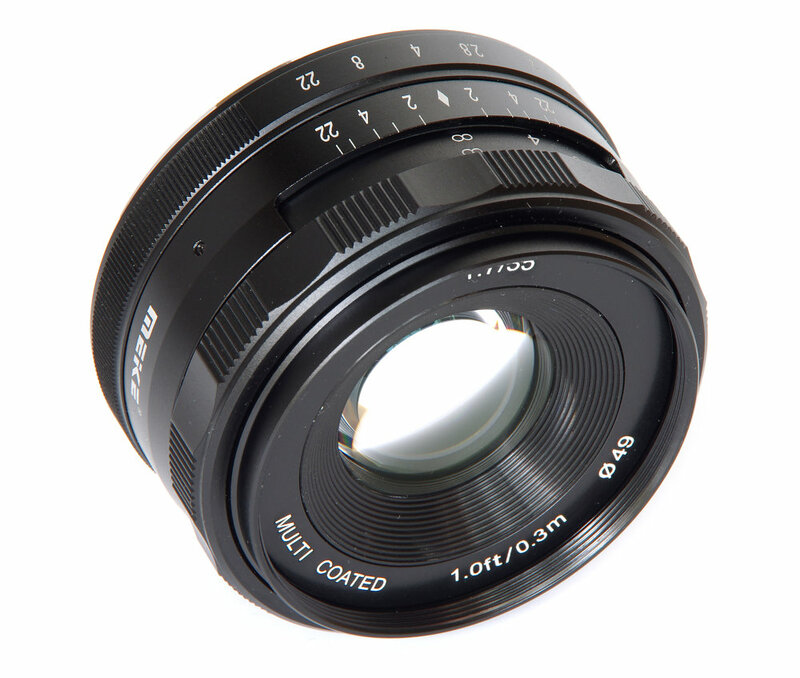 Meike means “beauty” (Mei) and “technology” (Ke) and immediately the lenses remind us of how small and light manual focus optics used to be. We'll now take a look at this intriguing meeting of beauty and technology and see how it bears fruit.